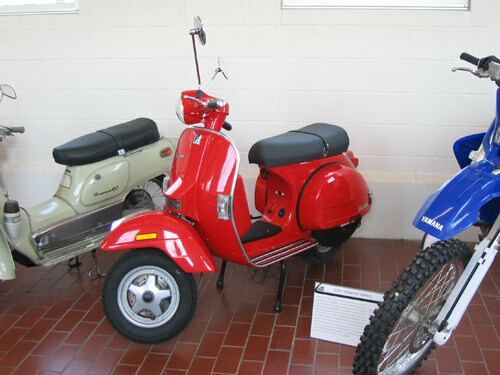 Piaggio was founded in Italy in 1884 as a business that made luxury ship fittings. By the end of the century, they were also producing rail carriages, luxury coaches, truck bodies, engines, and trains. When WWI began, the company turned to airplanes and seaplanes and was quite successful. The plant was totally destroyed during World War II, and the company turned its attention to the personal mobility needs of the Italian people. Drawing from aeronautical technology, a scooter was built. It had a unibody steel chassis shaped to protect the rider from road debris. By the end of 1949, 35,000 had been produced. Compared to a motorcycle, it was comfortable and quiet. 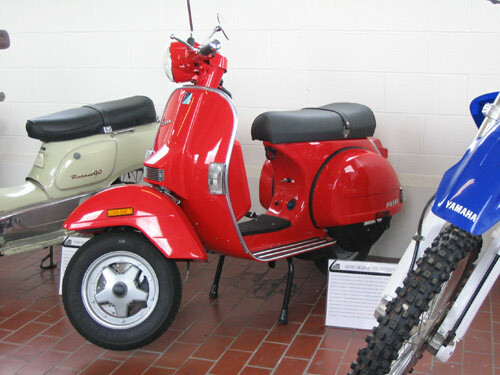 Within ten years, over one million Vespas were produced. 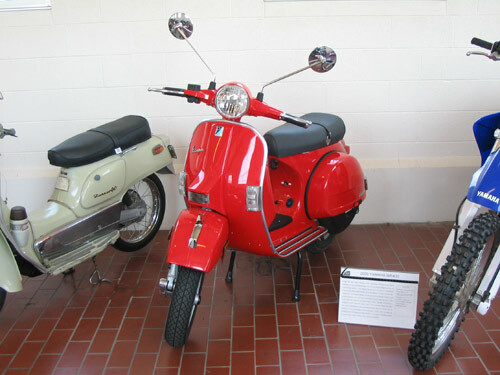 The Vespa is an icon of Italian style and elegance. The example you see here is actually a modern example.